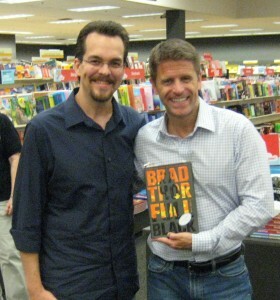 Last week I had the opportunity to attend a book signing in Little Rock, AR with Brad Thor. Brad is wrapping up a promotional swing in support of his latest release “Full Black”. 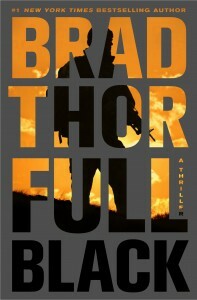 (If you haven’t had a chance to read “Full Black”, it’s one of Brad’s best books to date. You can read my review of it here.) It was the first Brad Thor book signing I’ve had a chance to attend and after my experience – it definitely won’t be the last. As the evening was wrapping up, only I was left, along with quite a few active members of the Thorum – Brad’s online discussion forum. As I sat and listened to Brad talk with them, I was struck by the camaraderie they all shared. It was more an easy conversation among friends than a book signing between author and fans. I realized that I was seeing the true secret to the success of Brad Thor – a desire and willingness to truly connect with people. To have a conversation – not just give a lecture. After the event was over, every book signed and every picture taken, Brad was kind enough to spend some time talking with me. It was great to sit down and chat with him in person. He has an infectious energy about him and an engaging personality. It was late, he was feeling a bit under the weather, but he was more than gracious with his time. I hope you, faithful reader, enjoy our conversation. The Word Zombie: The subject matter of “Full Black” is very timely. Do you think fictionalizing what’s going on in the world today makes it easier for people to access it? Does it help them wake up to what’s going on? Brad Thor: I hope that it does. I think that fiction, and accurate details are the bedrock of a great thriller – so, when I write my books I really want to draw from things that are happening in the world or that could be happening in the world. I want people to feel this could happen on their doorstep tomorrow. That’s my number one goal – because number one, I’m an entertainer. I’m competing against Cussler and Patterson for your “beach read” dollar. This isn’t Dickens. It’s supposed to be fun, it’s supposed to be entertainment, it’s supposed to be a rip-roaring page-turner. If that’s what you walk away as a reader, feeling like – “Wow, I couldn’t put it down” – great, I’ve done my job as an entertainer. But if you walk away saying – “Wow, I learned something” or “You know, I want to learn something more about that” – then I feel I’ve kind of given you more for your dollar. In a way, I’m trying to make these things that are going on in the world a little bit more accessible, because I think these are important things that people should be talking about. But this is a book – it’s not a soapbox. I’m in the business of selling books, not positions are statements. The Word Zombie: One of the things I loved best about “Full Black” was – Scot Harvath deals with things that range beyond radical Islam. In many ways, he finds the world is not just a point and shoot, easy solution type of place. I used a quote in my review by Qui-Gon from Episode 1 – “There’s always a bigger fish.” Do you find it concerning that so many people are willfully ignorant about what’s going on in the world? That people don’t pay more attention to the headlines and see what happens beyond their doorstep? The Word Zombie: I’m the same way. I think the last time you and I spoke we talked a little about Glenn Beck and his book “Broke”. The Word Zombie: I credit him a lot with helping me personally open my eyes to what’s going on. The Word Zombie: It’s interesting. 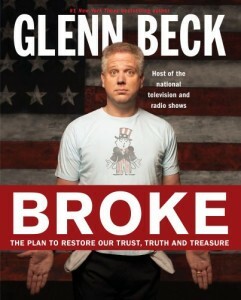 I think “Broke” is even more relevant now than when he wrote it, given what’s going on. Brad Thor: It’s amazing. I’ll tell you what happens when you wake up – you want to wake other people up. That’s what ends up happening. Glenn jokes around that his wife says when they go to cocktail parties – “Now you promise me, don’t make anybody cry tonight. Don’t you make anybody cry”. I’m at the point now where, you know – I’m a fiction writer. I’m in the business of selling books. I don’t want the books to be all my political views and how I see the world and all that kind of stuff, but – I write political thrillers, so they do involve politics. I write about espionage, terrorism, and all that’s intertwined with what is going on in DC, what’s going on in America, what our enemies want to do as far as tipping us in a certain direction. So, that’s all relevant – it’s relevant to my stories. I think a lot of people who read my books enjoy getting that, because they read a Brad Thor book and it’s entertainment – but you walk away knowing so much more about what’s actually going on. Not only in the world of special operations and espionage intelligence, but also what’s going on on a national and geopolitical level. I think that’s fun – and it doesn’t hurt. It’s painless. It’s like a spoonful of sugar. The Word Zombie: You mentioned in your earlier Q&A that Scott Harvath is aging as you age. He’s living in the real world and progressing. As you write him and as you also mature and age and go through life, do you find yourself taking a longer view? Has having kids shifted your perspective about what’s important and what’s not? Brad Thor: Absolutely. That’s probably been one of the biggest drivers of the shift in my viewpoint, or – maybe not shift in my viewpoint – but the opening wider of my eyes. We seem to have a prolonged adolescence in this country. People are waiting longer and longer to have kids. I see friends of mine that aren’t married, still going to clubs and bars – I just want to shake them and say “You know what? Wake up and grow up”. Actually not even wake up, just grow up. Be a man or be a woman. Be an adult. 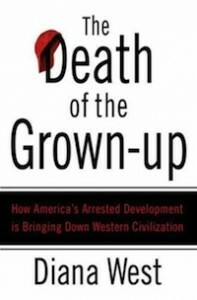 One of the best books I read in the last couple of years is “The Death of the Grown-Up” by Diana West. It’s all about how we used to transition very well out of our teens into our twenties and grasp the mantel of adulthood, and to move forward as adults. It was before the advent of the teenager, when mass marketing got in to targeting teens and teens had money and they became kind of their own special age niche. It used to be, you turned eighteen, you started dressing like your parents, you started listening to the music your parents did, you started seriously thinking about getting married, and so on and so forth. I think that we’ve done a lot to hamper serious thought, serious debate, and serious tackling of issues in the country by not growing up – by not being adults. Having children is not for everybody, but I think at some point you’ve got to grow up and be an adult. The Word Zombie: A political question for you. The Senate today approved the budget, debt ceiling deal. I loved your quote about the second Boehner bill – that it was “the choice between sleeping pills and razor blades.” What do you think of the compromise, now that it’s on the board and we’ve got this potential for defense cuts with triggers, and caps, and all this lunacy that’s going to happen between now and Christmas? Brad Thor: Let me tell you what I wish they would have done. What I wish they had done was, Paul Ryan put forth his plan – and nothing happened in the Senate. Boehner put forth “Cut, Cap, and Balance” – and it got tabled in the Senate. I think the Republicans do a horrible job of messaging and PR. They put forth something and it gets tabled. That’s not even “we like this, we don’t like this” and other side coming back with something. What I would have liked to have seen Boehner have done, and he should have done it, is to – once “Cut, Cap, and Balance” passed and got tabled in the Senate – I think Boehner should have passed a resolution in the House, gotten everybody to vote for, “okay we’re going to do a short term extension”, we’re going to go ahead and vote for $500 billion in added spending, we want $500 billion in cuts, and then he should have gaveled them in to summer recess. That’s it. He should have thrown it back to them, made it the Senate’s problem – take or leave, that’s it – we’re out of here and we’re gone. What I saw today, it’s not going to fix it. They’re kicking the can down the road. It’s unbelievable. I didn’t think they could kick it any further, but these wizards have found a way to do it. It’s not serious cuts – it’s not serious ways of dealing with our spending. The Word Zombie: I was stunned, and I wrote about this the other day – we’ve gone back to baseline budgeting again. I wrote – why don’t we do baseline tax cuts? Let’s plan to cut my taxes by 20%, only cut them by 10%, and then say that you’ve raised them by 10%. Brad Thor: Exactly. If I say I was going to buy a $100,000 Ferrari this year, but I only bought a $25,000 Acura – you can’t count that as saving $75,000. If you’re up to your eyeballs in debt in your family, you don’t even buy the $25,000 Acura. You figure out a way to cut. You would start taking the bus. You pack a lunch. You don’t go to Starbucks for your coffee. The Word Zombie: As part of the debt ceiling talks, some in the Democratic caucus, and even Vice-President Biden, called the Tea Party – “terrorists”. Given the world you’ve lived in through your books, does it bother you that these people will call a Patriot a terrorist, and a real terrorist a “suspect”? Brad Thor: Yes, of course if bothers me. I’m an author. I live, eat, drink, sleep, and breath words. Words matter. The fact that we won’t even address our enemies as Islamic terrorists for fear of offending Muslim people, it’s like – you know I’ve said this before – there were plenty of fabulous German people in Nazi Germany. But look what Hollywood did in World War II. We absolutely vilified our enemies. We named them and then we vilified them. We made them less than human so it was easy to kill them, and we could rally the country behind defeating them. We called the Germans “krauts”, we called the Japanese “japs”. We wouldn’t call the Japanese that now, but we were at war. They bombed Pearl Harbor – look what the terrorists did on 9/11. I’m sorry, for anyone to demonize their political opponents using terrorism – it wouldn’t be appropriate for the Republicans to do it to the Democrats, and it’s certainly not appropriate for the Democrats to do it to the Republicans. It doesn’t work either way. There’s no excuse for that. It’s like calling people “the Taliban” because they don’t agree with what you say. It’s like calling people a Fascist or a Nazi – these are really serious terms. Are you actually equating people who put their dogs into little red, white, and blue sweaters and show up at Tea Party rallies with the Taliban or Al-Qaeda? Al-Qaeda, who flew planes into the World Trade Center and killed 3,000 people on 9/11? I don’t think that’s what you’re doing. You’ve got to be careful with your words. These are the same people who told us we needed to “tone down” the political rhetoric after Congresswoman Gabby Giffords was shot and all those people were killed in Arizona. It’s not okay. The Word Zombie: As a wise man once said – “words mean things”. Brad Thor: And guess what – I also take exception to John McCain calling Tea Party people “hobbits”. I’ve had it up to here with McCain and his daughter both. The Word Zombie: I thought Glenn had a very good answer to that. You know, if you read the “Lord of the Rings” you’ll find that the Hobbits are actually the good guys. They’re the ones who save the day. Brad Thor: Exactly, but that wasn’t how McCain meant it. He meant it as a put down. The Word Zombie: It was definitely derogatory. Last week I wrote a review of Senator DeMint’s new book – “The Great American Awakening”. It’s a great book. I’m a big fan of Senator DeMint. Brad Thor: I’ve met him. He’s a nice man. The Word Zombie: We’ve got a good freshman class in the Senate right now and I think we’ve got a really good base of conservative freshmen in the House. Who do you look at in the Congress right now as that person who’s going to step up and be a leader? Boehner has done a good job for what he is, but I don’t see Boehner as a conservative leader. Brad Thor: No, he’s not. The Word Zombie: McConnell’s obviously not a conservative leader. 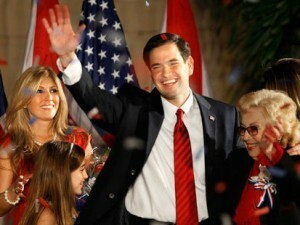 The Word Zombie: Who do you think is going to step up and take that mantel going forward, assuming we can win in 2012 and start putting this country back on the right track? The Word Zombie: That one’s tough. Brad Thor: It is tough, because there are a lot of freshman there who I don’t know. I’m getting to know them. I think poor Michelle Bachman’s getting “Palin-ized” by the media. I think it’s going to be really difficult for her. That’s unfortunate. If that were being done to a woman on the other side of the aisle, they would be screaming bloody murder. But somehow it’s okay to do it to women – I mean here’s a woman, my goodness, how many foster children has she had? 26 foster children? This woman walks the walk. The Word Zombie: There is a definite fear of a strong, conservative woman by folks on the left. I think it’s because they know it’s something that resonates with America. It’s something people gravitate towards. I can’t thank Brad enough for taking the time to sit down with me and chat. If you have a chance to get out and see Brad in person – go see him. He’s a tremendous speaker and an even better conversationalist. Much like you feel when reading his books – seeing him speak in person will leave you entertained. I wish him all the best with “Full Black”, and look forward to seeing what the future holds for Scot Harvath. © 2011 – 2017, The Word Zombie. All rights reserved.